Dr. Heatley is certified by the American Board of Otolaryngology. 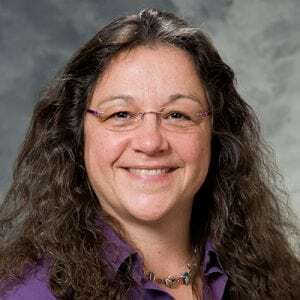 She specializes in pediatric otolaryngology, including the evaluation of congenital abnormalities, laryngotracheal reconstruction, management of pediatric sinus disease, and pediatric hearing loss and cochlear implantation. Dr. Heatley provides a wide range of services including Adenoidectomy, Bronchoscopy, Choanal Atresia Repair, Cochlear Implants, Congenital Atresia of the Ear Canal and Middle Ear, Endoscopic Sinus Surgery, Hearing Aids, Laryngeal Papilloma Laser Treatment, Laryngoscopy, Laryngotracheal Reconstruction, Mastoidectomy, Neck Mass Excision, Ossiculoplasty, Septoplasty, Sinus Surgery, Tonsillectomy, Tracheostomy, Tympanoplasty, Tympanostomy (Ear) Tube Placement. Dr. Heatley’s research interests include chronic sinusitis in children; cystic fibrosis and sinus disease; and issues in pediatric otolaryngology. Large cervicothoracic thymic cyst causing prominent airway deviation in a 3-day-old neonate. Perioperative intravenous steroid treatment and tonsillectomy. Obstructive sleep apnea in children with achondroplasia: surgical and anesthetic considerations.